Dr. Theresa Smith-Ruig is one of only a handful of vision impaired academics currently teaching in Australia. Her teaching and research interests reflect her strong passion for promoting equity and inclusion. Theresa graduated in 2006 with her PhD in the area of career management. She teaches at both and undergraduate and postgraduate level in the area of human resource management (HRM). Theresa has numerous publications in the areas of career development, diversity management, leadership in Local Government, and on work-integrated learning. She has been the recipient of both state and national research grants focused on enhancing the student learning experience. 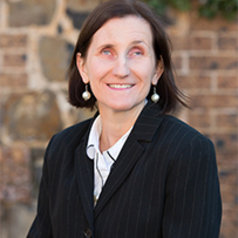 Theresa is currently Deputy Chair of Vision Australia – a large not-for-profit in the disability sector. This volunteer role helps inform Theresa’s teaching and research and keeps her connected with the business world.